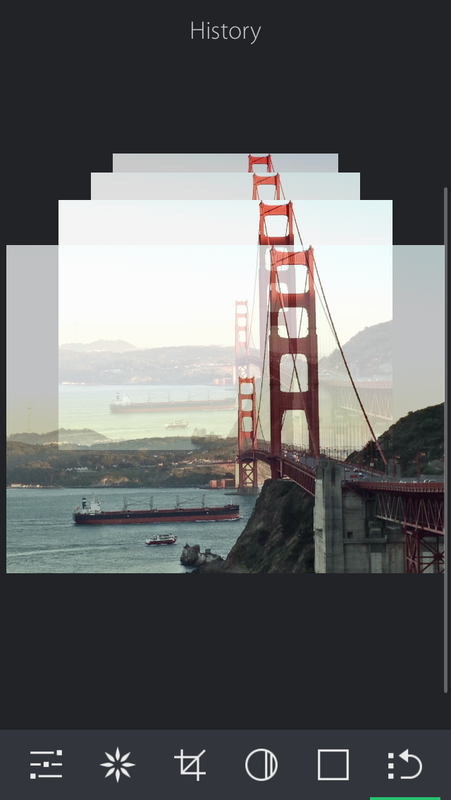 What developer Marvin Lee means when he says his new Truefilm photo editing app for iPhone is a “combination of AfterLight, Facetune and Over” is that its editing tools span — rather lightly in some cases — the key areas in which each of those apps individually excel. AfterLight (99 cents) is a general all-purpose editing app that covers basic photographic adjustments and throws in a batch of filters and photo frames for good measure. Facetune ($2.99) as its name implies, is more specialized and concentrates on improving skin tones and masking imperfections. Over ($1.99) is a typographic app that lets you create handsome, whimsical titles as well as other spot artwork for your images. 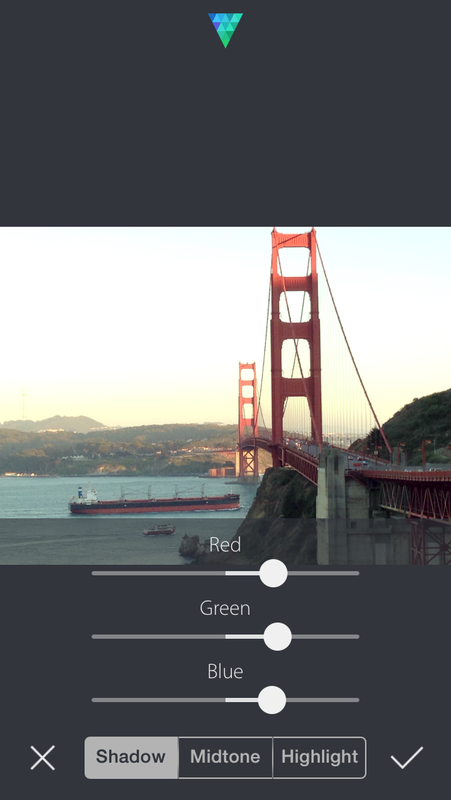 A selection of edits and filters gives you a well-rounded editing app. The rationale behind Truefilm is that it gives you three apps for way below the price of one, without in-app purchases. Not surprisingly, while Truefilm has some elements of the three apps combined, it does not replace the two specialty apps. Truefilm excels in the category of general editing, where competitors such as Snapseed, Aviary, Perfectly Clear and, yes, AfterLight dwell. It has a respectable-looking set of filters and abundant controls for clarity, vibrance, saturation, contrast, grain, cropping and more. The picture frames, skin improvements and text features are extras and fairly basic. An interactive 3D-style undo-redo function takes you to each individual edit. If you really want fancy title lettering on your images, Over is a good choice because it offers many typefaces and stylistic overlays, whereas Truefilm gives you just one. It lets you adjust the size, color and opacity of its single font. Whereas Facetune offers a multiciplicity of features that let you smooth skin, whiten teeth, refine facial structure, and even apply makeup, Truefilm gives you just the skin smoother and patch, but that may be all some folks need. A variety of photo frames — mostly based on geometric shapes — are also available, and you can make them look decorative by coloring them, but that’s the extent of photo frame creativity. A productive take on photo adjustments. A unique 3D history control functions as a multiple undo-redo feature that lets you slide back and forth through each edit by swiping down with your finger. It lets you see everything you did to your shot and choose to start over from any point. As a debut product, I found the app well-rounded in most of the common editing features you’d expect from a mobile shooting and editing app and I thought the filters were well done. I’m especially fond of including grain as an edit choice and I think users will like the challenge of handling shadows, midtones and highlights with red, green and blue slider controls. Some aspects are a still tad bare bones, though, and I look forward to future updates for additional typography and facial enhancement features. 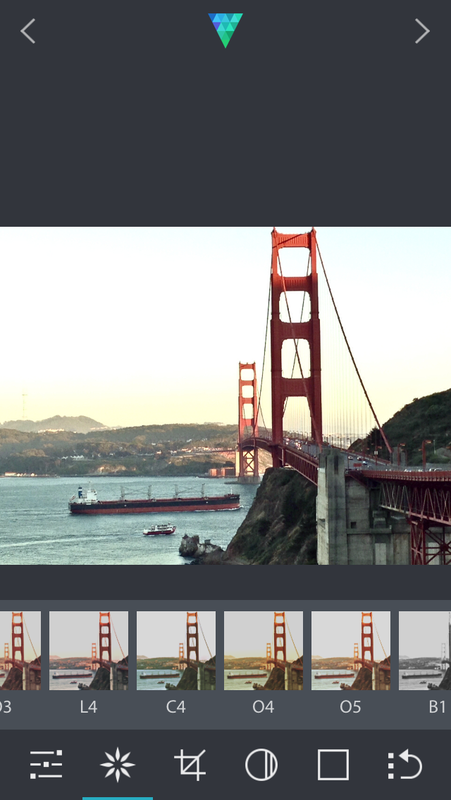 Truefilm, which is optimized for iPhone 5, works with iOS 7 and costs 99 cents.